The boiler is one of the basic central home heating systems, competing with the furnace and the heat pump for the best way to deliver whole-house comfort. We have extensive experience working with boilers, from new installations to repairs of just about any type. 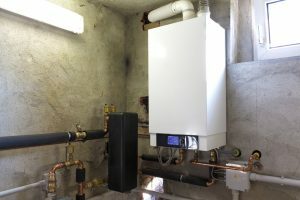 We’d like to share some of our boiler knowledge with you to help you understand a few basic, but often misunderstood, facts about these heating systems. The recent polar vortex dropped Chicagoland into an extreme deep freeze, bottoming out the temperature at a record-breaking low. We hope you and your family made it through this intense weather—you’ve probably never loved your home heating system as much as you did during this time! Now that the freeze of the vortex has passed, you may be thinking about what might have happened if the power went out in your home during the extreme cold. It’s not a pleasant thought. In fact, it’s bit terrifying. Unfortunately, extreme weather conditions are when power outages are most likely. 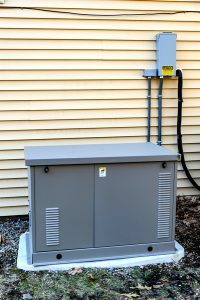 During this warmer stretch of weather, you might be giving serious thought to having your home’s electrical power protected with a whole-house generator. This is great planning, and we offer professional services to install a whole-house generator in Wilmette, IL or elsewhere in Chicagoland. Don’t hesitate to call us to ask for more information. Posted in Generators | Comments Off on Giving Serious Thought to a Whole-House Generator? We Can Help!